Abstract: Big data and AI (Artificial Intelligence) are essential for the cyber digital world. They also bring a lot of impacts on our society. In this talk, we specifically address the impacts of big data and AI on information networking, security, and privacy in the cyber digital world. The challenge issues and possible solutions with big data and AI for the networking, security, and privacy in cyber digital world will be discussed. Some examples will be provided and explained. 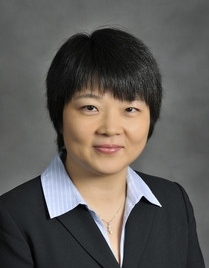 Jie Li is a Professor in Department of Computer Science and Engineering, School of Electronic Information and Electrical Engineering, Shanghai Jiaotong University. His research interests are in big data and AI, computer networking, network security, modeling and performance evaluation of information systems. He is a co-chair of IEEE Big Data Community and chair of IEEE ComSoc Technical Committee on Big Data. He received the B.E. degree in computer science from Zhejiang University, Hangzhou, China, the M.E. degree in electronic engineering and communication systems from China Academy of Posts and Telecommunications, Beijing, China. He received the Dr. Eng. degree from the University of Electro-Communications, Tokyo, Japan. He was a full professor in University of Tsukuba, Japan. He is a senior member of IEEE and ACM. He has served on editorial boards of IEEE journals and transactions. He also has served in the program committees for several international conferences such as IEEE ICC, INFOCOM, GlobeCom. Abstract：Signal processing in encrypted domain is an emerging technology aimed at processing encrypted signals without revealing the plaintext content. In conventional combination of signal processing and encryption, the signal processing is always before encryption or after decryption, so that the processer is capable of accessing the signal to be processed. Signal processing in encrypted domain significantly differs from the conventional way and implies a new fashion of secure multimedia services, which is essentially suitable for cloud environment. What a content owner should do is only the encryption for privacy protection, and a server without the cryptographic key performs various processing algorithms on encrypted signals and provides the processed encrypted results. Then, a client having the cryptographic key may realize decryption to get the plaintext results. In the scenario, the storage and computation resources on the cloud can be fully exploited and the signal privacy is also protected. This lecture will survey the concepts, principles and methods of signal processing in encrypted domain. Also, several important topics will be sufficiently discussed: signal transforms in encrypted domain, compression of encrypted signals, encrypted image retrieval and reversible data hiding in encrypted images. Xinpeng Zhang received the B.S. degree in computational mathematics from Jilin University, China, in 1995, and the M.E. and Ph.D. degrees in communication and information system from Shanghai University, China, in 2001 and 2004, respectively. Since 2004, he had been with the faculty of the School of Communication and Information Engineering, Shanghai University, and he is currently a Professor of School of Computer Science, Fudan University. He was with the State University of New York at Binghamton as a visiting scholar from January 2010 to January 2011, and Konstanz University as an experienced researcher sponsored by the Alexander von Humboldt Foundation from March2011 to May 2012. He served IEEE Transactions on Information Forensics and Security as an Associate Editor from 2014 to 2017. His research interests include multimedia security, image processing, and digital forensics. He has published more than 200 papers in these areas. Abstract：As smart phones and other mobile devices are widely used nowadays, users can use mobile phone to subscribe services, as well as publish services they would like to offer. There are many platforms that have been developed to provide the online matching between the service providers and service consumers. Most of such platforms are hosted on public clouds where security and privacy is a major concern to users. It is essential to make such online matching platforms secure and privacy-preserving. In this talk, we first present pMatch: a privacy-preserving task matching scheme for crowdsourcing systems. With pMatch, task requesters encrypt the information of tasks and publish the encrypted tasks to the cloud server, and workers also encrypt their interests and submit them to the server for task subscription. The server can match the tasks to the most suitable workers over the encrypted data. Thus, no private information about either the tasks or the workers is leaked to the cloud server. Then, we present pRide: a privacy-preserving online ride-hailing (ORH) system. With pRide, both riders and drivers submit their encrypted location information to the ORH server. The ORH server is able to match a rider with its closest driver over the encrypted data without knowing the exact locations of either the rider or the drivers. Xiaohua Jia received his BSc (1984) and MEng (1987) from University of Science and Technology of China, and DSc (1991) in Information Science from University of Tokyo. He is currently Chair Professor with Dept of Computer Science at City University of Hong Kong. His research interests include cloud computing and distributed systems, data security and privacy, computer networks and mobile computing. 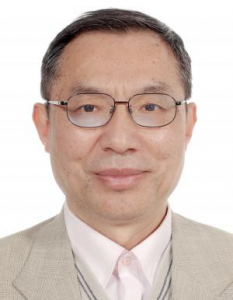 Prof. Jia is an editor of IEEE Internet of Things, IEEE Trans. on Parallel and Distributed Systems (2006-2009), Wireless Networks, Journal of World Wide Web, Journal of Combinatorial Optimization, etc. He is the General Chair of ACM MobiHoc 2008, TPC Co-Chair of IEEE GlobeCom 2010 – Ad Hoc and Sensor Networking Symp, Area-Chair of IEEE INFOCOM 2015-2017, Track-Chair of IEEE ICDCS 2019, and General Chair of ACM ICN 2019. He is a Fellow of IEEE (Computer Society) and Distinguished Member of ACM. Blockchain, the technology behind Bitcoin, has drawn widespread attention in recent years. As a popular “secure by design” technology, Blockchain has great potential to enable a wide range of distributed applications across a broad spectrum of industries. Smart contract, due to its ability to enable various business logics, has become a newly-emerged killer application of blockchain technology. In this talk, we will examine some fundamental properties of blockchain and smart contract. While blockchain promises decentralization, irreversible record keeping, public verifiability, transparency, and user anonymity, etc., some of these properties are not guaranteed and they come at a very high price. At the same time, excessive overhead and performance deficits may place a fundamental limit on the use of blockchain in many applications. We will also introduce “PrivacyGuard”, a blockchain-based private data usage control system that prevents unauthorized data access and usage. PrivacyGuard seamlessly integrates two technologies, smart contract and trusted execution environment (TEE), to overcome the contract execution efficiency problem with a novel trustworthy off-chain contract execution engine. Wenjing Lou is the W. C. English Professor of Computer Science at Virginia Tech and a Fellow of the IEEE. She holds a Ph.D. in Electrical and Computer Engineering from the University of Florida. Her research interests cover many topics in the cybersecurity field, with her current research interest focusing on privacy protection in networked information systems and cross-layer security enhancement in the Internet of Things (IoT) systems. Prof. Lou is currently on the editorial boards of IEEE Transactions on Dependable and Secure Computing (TDSC), ACM/IEEE Transactions on Networking (ToN), IEEE Transactions on Mobile Computing (TMC), and Journal of Computer Security. She is the TPC chair for IEEE INFOCOM 2019 and SecureCom 2019. She is the Steering Committee Chair of IEEE Conference on Communications and Network Security (IEEE CNS), which is a conference series in IEEE Communications Society (ComSoc) core conference portfolio and the only ComSoc conference focusing solely on cybersecurity.